Every one want Best calls or Accurate calls in Commodity market, but because some people provide Calls without technical and fundamental research, that calls gives very losses to trader and investors. Don’t worry. We Provide calls which are based technical & fundamentals. 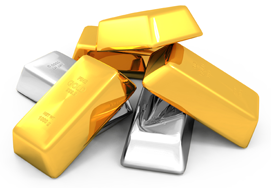 MCX Gold is trading red bias with volatile session. Intraday resistance can be seen near 26709.5 to 26795.4 & Supporting zone 26171.4. Day trader is advices sell Gold with levels of 26350 Targets 26300, 26250 Risky zones 26450. MCX Silver also has come down 250 Rs Due to last close. It seems fully bearish bias. Resistance can be find 43922.5 and Supporting Levels 42979. We advices day trader can Sell Silver current market levels at 43350 Targets 43250, 43150 Stop Loss 43550. ~ SELL N G 238/39 S / L 243 TRGT 236 - 234 – 232. ~ SELL COPPER 408.50/409 S /L 412 TRGT 406 - 404 – 402. ~ SELL LEAD 114 /114.50 S /L 115.50 TRGT 113 -112 - 111 – 110. FREE TRIAL For Indian Share market trading tips, MCX free tips, Stock Tips, Stock calls, nifty tips, nifty calls ,commodity market updates, commodity trading calls, MCX tips,we have 10 days free trial offer also.